Food Minister Christian Schmidt wants to prohibit tobacco advertising. Unsurprisingly, the only people who are upset about it are tobacco companies. Tagesspiegel reports. Under former Chancellor Gerhard Schröder, the German government opposed an EU advertising ban for tobacco products, although at that time it was only involving print media and the Internet. Now, without European pressure to do so, Food Minister Christian Schmidt (Christian Social Union) is hoping to ban all advertising for tobacco products in Germany. And not even economic policymakers are agitated. In fact, the opposite is true. Andrea Wicklein, a spokeswoman for the Social Democratic Party’s (SPD) parliamentary group, told Tagesspiegel she was “for the extension of the tobacco advertising ban”. She said she is aware of the “trade-off” for the tobacco industry’s economic interests, “which places much value on such advertising”. But health protection and prevention are simply a priority, she indicated. “We have a huge responsibility to ensure that young people in particular do not ever begin to smoke and that the number of smokers continues to decrease.” The costs of this addiction are born by “our healthcare system financed by solidarity and not the tobacco industry”, she pointed out. Michael Fuchs was more critical. The planned advertising restrictions need to be looked out “closer” including its “legal aspects”, said the vice head for economy and the middle class in the centre-right alliance’s parliamentary group. Fundamentally, he indicated, one should not exceed the EU’s requirements “in light of the jobs in the domestic industry and its ability to export”. But that is all. Clear resistance sounds quite different. Schmidt has not received any angry calls from Sigmar Gabriel’s Economic Affairs Ministry either. About a week ago, the CSU politician sent his bill to the ministries. He has said he hopes not only to achieve but go beyond the EU directive, which requires all member states to introduce considerably larger warnings and shocking photos on cigarette packaging by mid-May 2016. He also intends to ban advertisements for tobacco products in cinemas and on billboards. After all, Schmidt argues, backing up his decision, there is an “obligation” through the World Health Organisation (WHO) to cut down on advertising for carcinogenic products. And besides Bulgaria, Germany is the last remaining EU country that still allows outdoor advertising for cigarettes, he pointed out. Meanwhile, Schmidt’s plans are strong stuff for tobacco manufacturers. This is reflected by their reaction. A complete ban on advertising is not only a “dam burst in economic policy”, said the CEO of the German Cigarette Association, Jan Mücke. It also means a “glaring breach of the coalition agreement”. After all, the agreement only requires “a 1:1 implementation of EU requirements so as not to burden the German economy with further-reaching rules”, he explained. If the bill becomes law, “it would be the first time a legal product could no longer be advertised”. In this way, there would be an “unprecedented limit to competition” for an entire sector, he said, and products like alcohol and foods with high amounts of sugar or fat would be next. On the other hand, it is being ignored that the share of young smokers has been “plummeting” since 2001 and that 2014 reached a “historical low” with less than 10%, Mücke pointed out. In addition, the rate of smoking among young people has decreased more strongly in Germany than in France, Poland, the United Kingdom where total advertising bans have existed for years. From a lobbyists point of view, this shows that a ban on advertising has neither a real influence on the number of smokers nor is it suited for prevention among young people. The German Advertising Association also did not approve. “In this way, basic rules of free markets would be suspended in the economic sector affected,” said the organisation’s managing director Manfred Parteina. “A complete cap on advertising contact to adult customers puts the sector outside the system of the market economy,” he said. This would be an “interference in the advertising market, the depth of which is not yet known” and which cannot be justified by consumer protection. Meanwhile, manufacturers of pipe tobacco and cigarillos are also up in arms. In the EU Directive, their products are specifically exempt from stricter regulations, emphasised Alexander Manderfeld from the German Smoking Tobacco Association. Now, despite all the statements made, the ministry plan includes shocking photos and an advertising ban in this specific tobacco sector. “That hit us like a cold wind,” Manderfeld said. But the costly packaging transition could “push many manufacturers into ruin”, he indicated. Domestically there are 2,000 cigarillo and cigarette varieties and around 700 brands of pipe tobacco. But the youth protection argument does not apply, he said, as pipes and cigarillos are only consumed by adults. 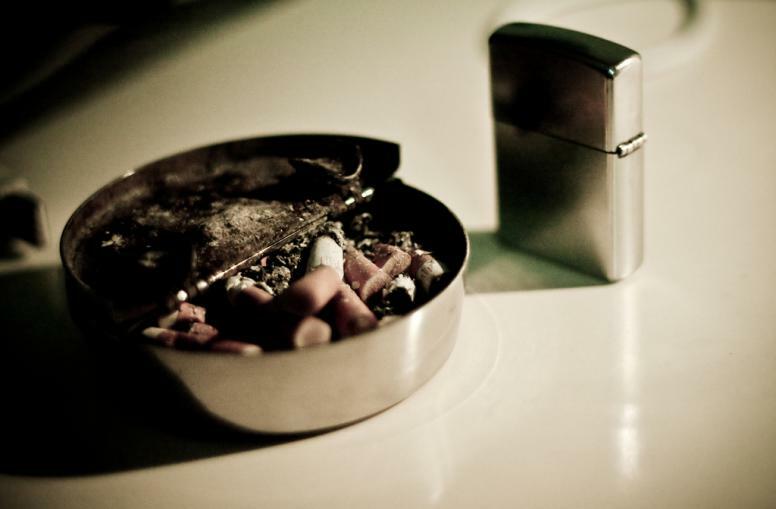 The only comfort for the tobacco industry is that things could have ended up being worse. So-called “plain packages” – neutral grey tobacco packaging without a brand logo – are not planned for Germany, as opposed to Ireland and soon the United Kingdom. The minister indicated there are “no efforts” to do this. In its revision of the 2001 tobacco directive, the European Commission proposed to widen the scope of cigarette-trading rules to cover potentially harmful electronic cigarettes, flavourings, and marketing strategies. Larger health warnings on cigarette packets and a total ban on flavouring, such as menthol, were all part of the proposals, agreed in 2014. Current legislation requires that health warnings cover at least 30% of the area of the front of the pack and 40% of the back. The new legislation will make it mandatory for all cigarette packs to carry picture warnings covering 65% of their surface. E-cigarettes will be regulated, either as medicinal products, if they claim to help smokers to quit, or as tobacco products. Packs of fewer than 20 cigarettes, which are cheaper and hence more accessible to children, would be banned in the handful of countries where they are still allowed on the market. Member states have to put the provisions on tobacco products into effect within two years of the updated directive's date of entry into force.